Time for something a little bit different. Atlantic City is like a little Las Vegas on the east coast of USA. The city is located by the ocean. Except for a few liquor stores and a small amusement park the rest is only hotels and casinos. Names of the streets in the original version of Monopoly game come from Atlantic City! The city is fairly easy accessible from New York. Indeed, there are specially prepared buses with a package deals for gamblers. The point is that everyone has the opportunity to earn back part of the money spent on the trip by playing the slot machines, like one handed bandits. I’m lucky today so I gain back half of the amount spent on the trip. My gambling adventure begins in the Sands Casino. After some time, I walk along the beach to move to the Resorts. 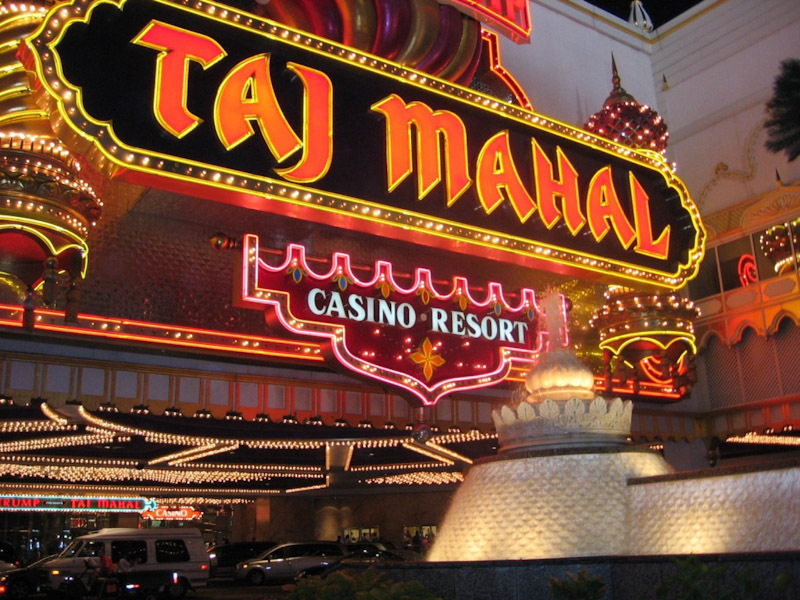 Later on and for the rest of the night I stay at Taj Mahal, big casino belonging to Donald Trump. I gamble all night long with my friend. Most of the time it is my favorite roulette. Each of us chips in $20. Our initial $40 goes up to reach at its peak $120. A nice American girl sits next to us and at this point of time we start to lose. We decide to quit when there is only $50 left to withdraw. So we have $5 profit each. I keep it for good luck. In the meantime we order lots of drinks, which are free for players. It is good to tip a dollar so it takes less time for the drinks to show up at the table. An interesting fact is that virtually every casino is open around the clock. We stayed until 5 in the morning and even at this time there was no problem to catch one of the frequent busses to New York. There’s nothing else like a bit of fun at the casino. Taking a look at all the casino buildings of great splendor makes me realize that in the long term it is not possible to be a money-making gambler. Though there is nothing wrong in having a bit of fun from time to time!